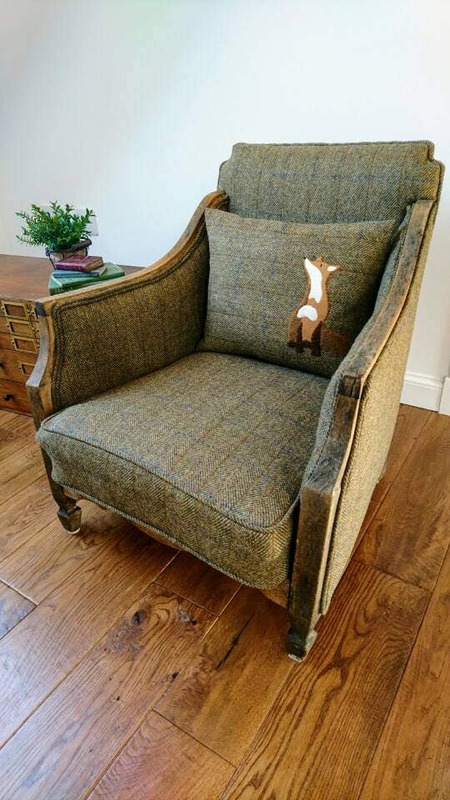 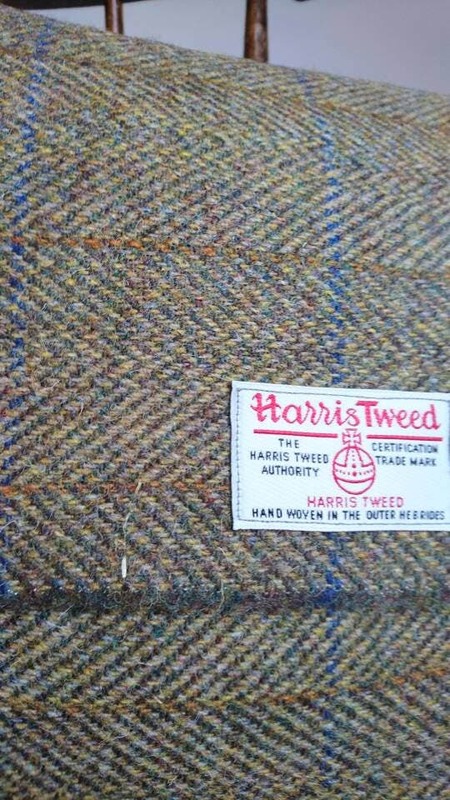 Beautifully hand crafted checked olive green genuine Harris Tweed cushion cover. 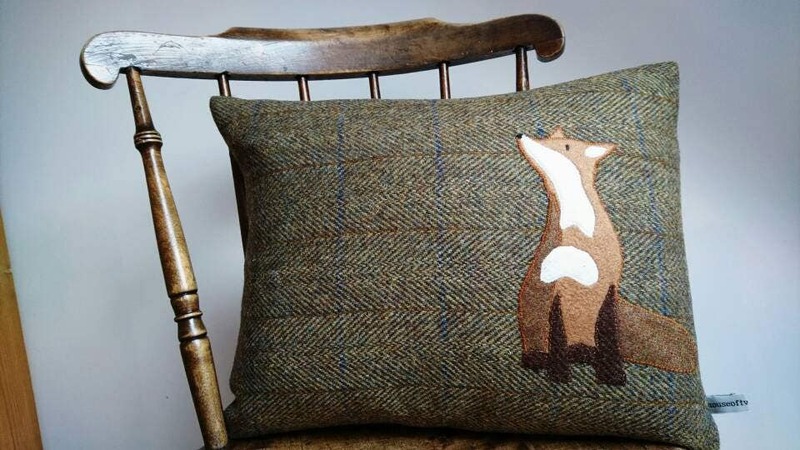 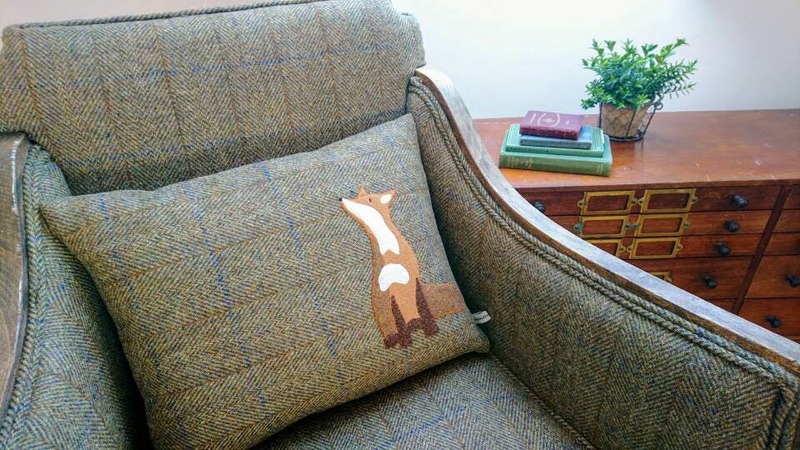 Dreamy Mr Fox is hand drawn and cut from felt and wool and embroidered onto the cushion. 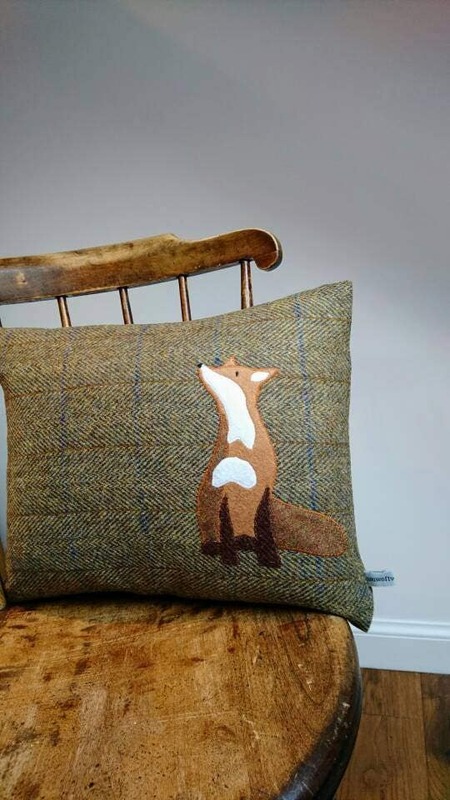 Take Mr Fox home today!